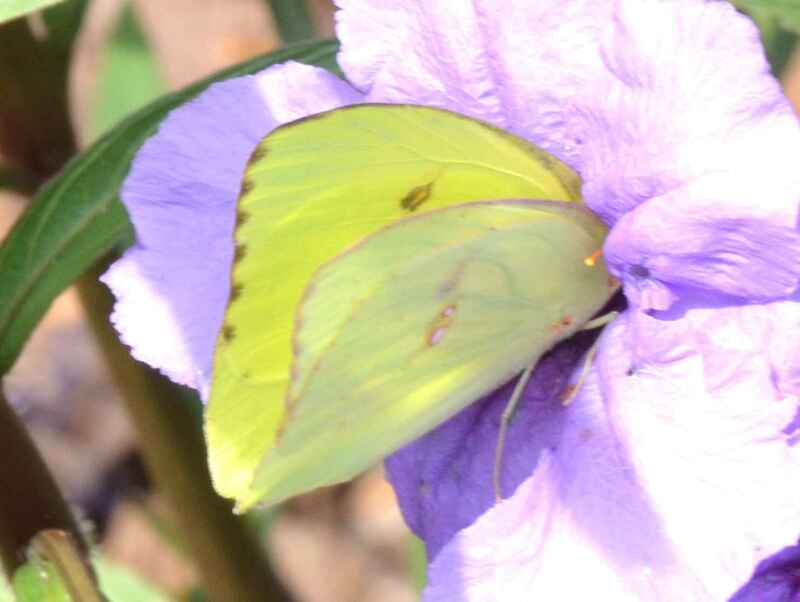 Phoebis sennae (Cloudless Sulphur) ♀. 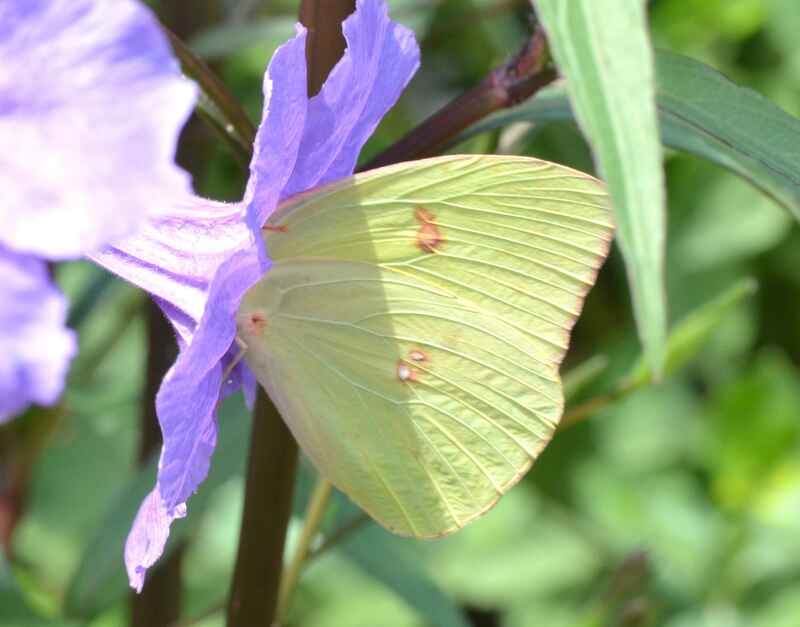 The Cloudless Sulphur (Phoebis sennae) can be found in the Southeast throughout the year reaching Ontario during the summer. The small photo shows the same individual. The caterpillars feed mostly on herbaceous and woody legumes. I believe this is a female.